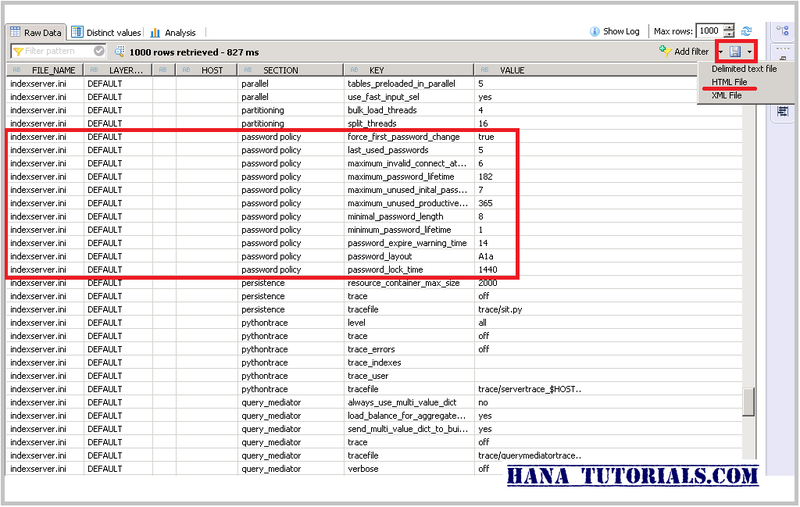 HANA Tutorials: How to list and export all HANA configuration parameters ? Requirement : You want to export all SAP HANA system parameter to a HTML/text file. Prerequisite : You need CATALOG READ or DATA admin role or SELECT access on SYS schema. Sometime you need to export all parameters so that you can do a quick compare between Dev , QA and Production system settings. We will use HANA SYSTEM view M_INIFILE_CONTENTS to list down and export all HANA parameters, It's like RSPARAM or RSPFPAR of SAP ABAP system. Open HANA Studio Administrative perspective and go to Catalog > SYS > Views > M_INIFILE_CONTENTS and select "Open Data Preview" from context menu. This will list down all HANA parameters ,use the 'SAVE' option to export the content as HTML or other file format. We have highlighted this option in the top right section of screenshot. As an example, we have highlighted "Password Policy" related parameters in the above M_INIFILE_CONTENTS screen and in "Configuration" tab screenshot(below). 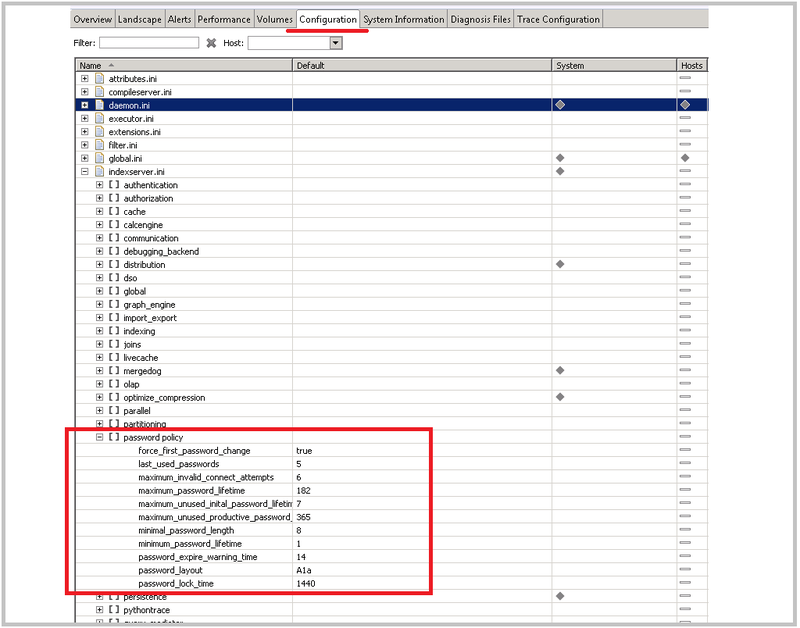 HANA parameters can be viewed and changed in the "Configuration" tab of HANA Studio. How to export HANA parameters from HANA studio? What is the use of M_INIFILE_CONTENTS system view?